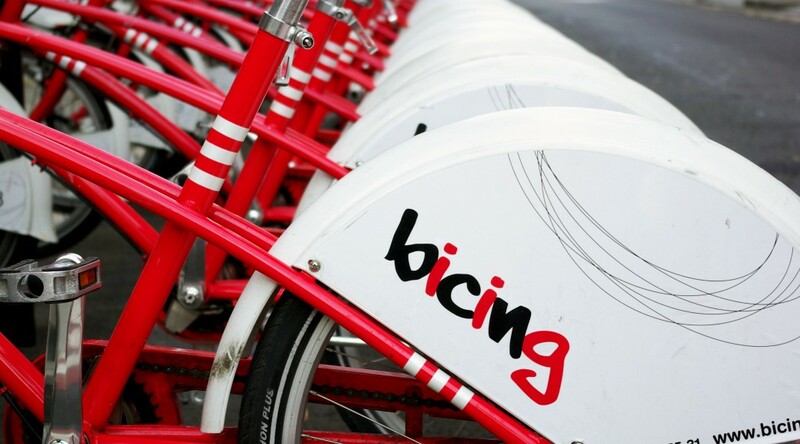 Did you know that Spain has the greatest number of bicycle sharing systems in the world? Having a high demand for these makes a lot a sense – the mild winter leaves one no bad-weather-excuses for not biking; and in the summer the bicycle is the most pleasant transport method for going to the beach. But if you have ever tried to go to the beach on the bici (that’s how the public bikes are called in Barcelona) on a lovely Sunday morning, you’ve probably stumbled on your closest station being empty. So you walk under the scorching Spanish sun to the next station, and quite possibly – to the one after that, until you can find a bicycle. Once you finally arrive to the beach, all the stations are now full, and there’s a line of people waiting to return their bicing. Each time this happened to me, it got me thinking that there should be a way to forecast the demand in order to improve the supply. Fortunately, the guys at CityBikes have provided an API with the momentary availability of bikes. So, I scraped a several days worth of data, averaged the bikes per station and produced the following image. 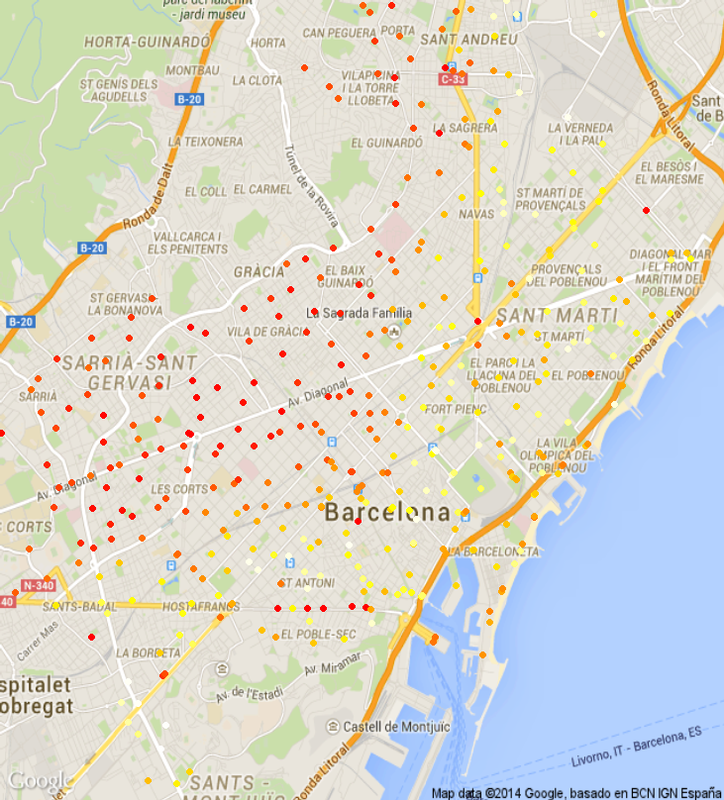 The white dots are the stations that are on average (almost) full and the reds are (again almost) always empty.